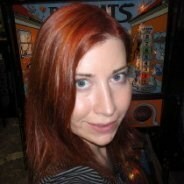 Early last year Valve hired Jeri Ellsworth, a self-taught computer chip designer and entrepreneur who sold over 250,000 units of a self-designed joystick with a built-in Commodore 64 hardware emulator. Ellsworth got fired in February, and now she has opened up about her time at Valve, criticizing the company for for its hidden management cliques. Valve Software claims it has a flat management structure, but Ellsworth says there's actually a hidden layer of powerful management structure in the company, and that it felt a lot like a high school clique. Ellsworth claims it was this minority that led a witch hunt to throw out all the "undesirables" by laying off of around 25 employees in back February. Further details can be read at Develop Online. Developers were originally left scratching their heads when the hugely-respected game studio went through a round of redundancies in February. It was seemingly uncharacteristic as not only did it drop important staff members, including Ellsworth and Steam chief Jason Holtman - but the business is built to value and support all developers thanks to a flat management structure. It even has a lengthy management handbook that explains how this radical operation uses peer review and colleague ratings to hire and fire individuals. It was this mechanism which Ellsworth battled against to hire her own team - and which she eventually fell foul of. Her frank account of what happened - detailing the tough side of Valve's idealised structure, how it betrayed her, and why its hiring process are flawed - is 90 minutes long and well worth a watch if you have the time, especially as it details how Ellsworth managed to retail ownership of the hardware ideas she dreamt up for Valve - you can view the first part here.